**Eddie Bravo**Teaching at 10th Planet Jiu Jitsu Van Nuys June 10th! 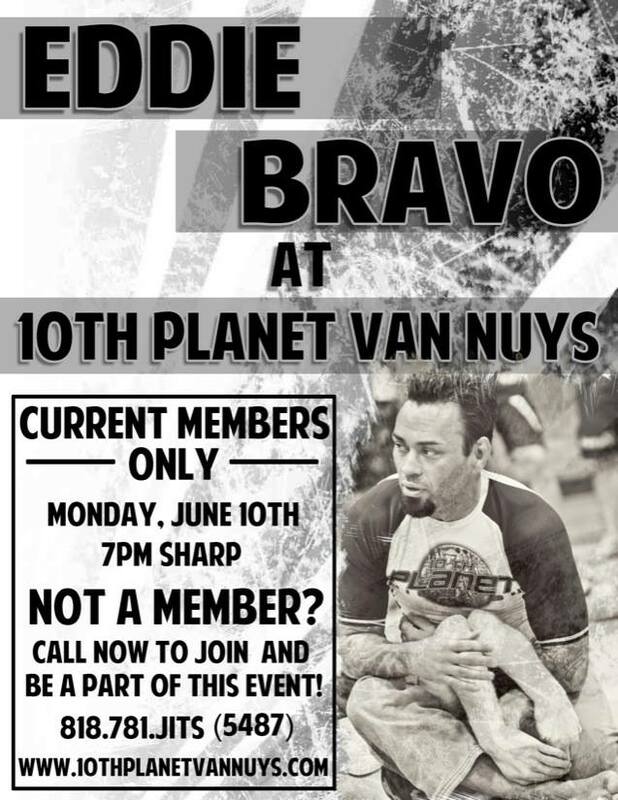 Eddie Bravo will be gracing the mats of 10th Planet Van Nuys next Monday, June 10th. He is one of the most prolific figures in all of MMA and Jiu Jitsu. He’s not afraid to speak his mind when it comes just about anything. 10th Planet is constantly evolving, and Grandmaster Bravo will be teaching the latest advancements in the system. He is always researching, developing, refining and updating techniques. You don’t want to miss out on any of the new stuff! 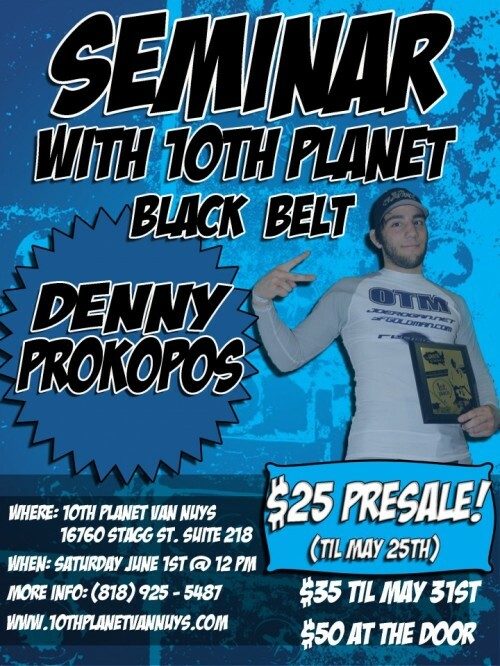 Due to limited amounts of space, this event is only for current 10th Planet Van Nuys team members. However, if you’d like to join our team in time for this event, there’s still time to sign up, and get in on the action. We’re having super summer specials right now, so call us!!! (818) 781-JITS (5487). You’ve probably been thinking about signing up for a while now anyways, and these prices won’t last forever. Call and book a free class to see what we’re all about. Best way to see if 10th Planet is for you is to take a test drive. There’s no strings attached, what have you got to lose? I can guarantee you’ll love our program, and our prices, for what you’re getting are out of site. Did I mention, we have morning, night, and weekend classes? We have classes for beginners, seasoned vets, and competitors too. Think you’re too old or too young? Think Jiu Jitsu isn’t for girls? Nonsense, we have classes for everybody!!! After you come try us out, and you still find you’re not convinced, you can walk away no hard feelings, and no pressure sales. We only want people to join our team who absolutely want to be there. That’s why we have such an amazing vibe at our school. Our instructors and our members all are incredibly passionate about Jiu Jitsu, and it shows! Stop making up excuses and jump in today! You’re future black belt awaits you. There are only a few spaces left, call now and reserve you slot! Eddie Mendez will be making his UFC debut down in Brazil June 8th. 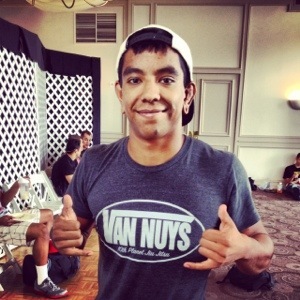 He will be training his Jiu Jitsu with us at 10th Planet Van Nuys. Mendez is known for his boxing, wrestling and putting exciting fights. He will be taking on Black Belt, Daniel Sarafian from The Ultimate Fighter Brazil. Sarafian is coming off a fight of the night loss vs C.B. Dolloway. This one should be candidate for fight of the night! 10th Planet Purple Belt, Kelvin Gastelum, Beats Uriah Hall to Become The Ultimate Fighter 17 winner. 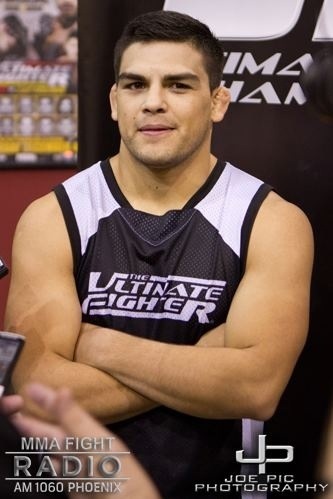 Congratulations to 10th Planet Yuma’s purple belt, Kelvin Gastelum on winning “The Ultimate Fighter” season 17! In an amazing fight, he edged out the favorite, Uriah Hall, by a split decision. At 21 years of age, many thought Kelvin had no chance against what many people called the scariest contestant TUF has ever had. Before tonight the people were relatively unfamiliar with Kelvin, I’m happy he was able to shock the world with his heart, and his wrestling. Awesome victory! Click here for Kelvin Gastelum receiving his purple belt! 10th Planet Van Nuys is Moving Locations!!! 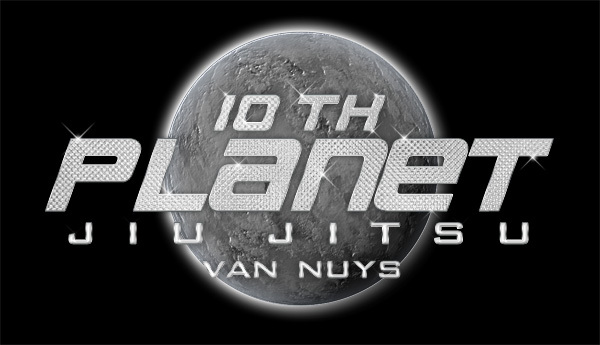 10th Planet Van Nuys is getting its own, new location! We’ll be moving into the new place march 1st. We will be adding new programs, more classes and focusing more on MMA. I’m looking forward to new opportunities and to creating the best team I can. 10th Planet Watch Passes the 1000 Posts Mark! 10th Planet Watch has made history! 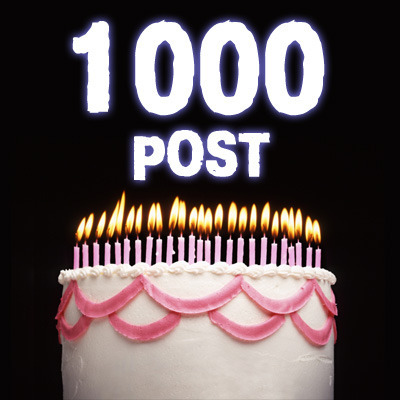 It’s achieved what many blogs only dream of, hitting 1000 posts! This little site has had it’s ups and it’s downs, but it’s stuck around through thick and thin. I’m rededicated to making this site what it once was, a daily source of news and entertainment. My goal is to write 90 articles in 90 days. This would be the best run I would have had lately. The first 3 years of this blog, I didn’t miss a single post. I’d like to get to that once again. I have to thank you, the readers for giving me the motivation for keeping up with this blog. If I didn’t get so much feedback, both good and bad, I wouldn’t have had the drive to keep doing this. Everyday that I check Google analytics, I see I’m still getting tons of hits. As long as you guys find my stuff interesting, I’ll keep on writing and posting. If there’s any subjects you’d like to hear about, feel free to drop a comment, or email me, I’d be glad to post something up. I originally created the blog late spring of 2008. !0th Planet was a huge source of traffic on the internet, and it was my plan to create a blog that would centralize all of the videos, pictures and news that I could find about Eddie Bravo’s wild and crazy form of Nogi Jiu Jitsu. We caused some stirs, had some laughs and most importantly, spread Jiu Jitsu through out the world. This little blog is responsible for helping me accomplish some amazing things of my own as well. I was able to go all over the world to teach seminars, coach fighters locally and in the UFC, I was able to open my own 10th Planet academy in Van Nuys, California, release tons of my own technique videos and loads more. It’s really helped me find a way to explore my passion. Thank you to the BJJ/MMA/Martial Arts community! I’m passionate about what I do, and I’ll continue to do it as long as I live. Much Love. Don’t have long finger nails. This is my personal pet peeve. I will never show you the secrets of how I use deep half guard or how I dim mak ninjas, if you slice me open with your talons. It’s really easy to cut somebody inadvertently, make sure you keep and extra set of nail clippers in your gym bag. Hell, bite your nails for all I care. Just get it done. I have a scar right between my eyes from a disrespectful training partner that forgot to trim his nails. I have to be reminded daily when I look in the mirror, of how much I hate this. Please don’t roll or drill with mat cooties. If you have nasty on your skin, and you still want to train, you can go for a run or do some tape study. Please don’t go roll around with guys no matter how much you want to. In the long run getting sick leads to people quitting or worse, getting super sick. Don’t be greedy, take a couple days off, go see the doctor and get it taken care of. Handle all of your open wounds. Nobody wants to get bled on! It’s gross! If you get a cut it’s one thing, you have to expect it a little bit of that, but if you’re bleeding all over and it could have been prevented, people are going to be turned off. Take 3 minutes before hand to cover up any wounds, and tape them up. Band aids always get knocked off when you get all sweaty. I haven’t even talked about how you can get sick from infections, which can lead to other ways to be a bad training partner. I have another couple blog posts out of this subject. I hope I’m making Jiu Jitsu a more pleasurable sport for you and your team. Please feel free to post this, or tell your partners what I’ve said, just keep the information out there. Problems can arise when you have expectations that the other students already know this stuff. Never expect it’s “common sense” for people to know these things. They’re busy thinking about how they’re going to sweep you, or how to make their technique smoother, rather than thinking about being a better training partner. 10th Planet Van Nuys Coaching Program Starts December 1st 2012. 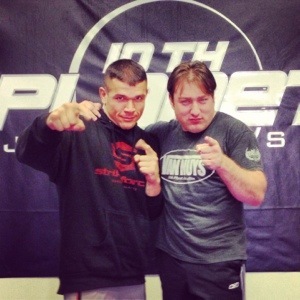 After a tremendous success, we’re bringing back our coaching program to 10th Planet Van Nuys. If you’re a serious student, and you’re looking to make Jiu Jitsu a serious part of your life, this class is for you. Whether you want to own your own gym one day, help corner fighters, teach classes, or just get better and more involved, this class is for you. I’ve told my class this several times, but I’m serious when I say this, this is the BEST class we’ve ever had at the gym. If you don’t know my story of why I got into coaching, here it is. I was just a regular old purple belt looking to do something more with my bjj. I wanted to find a reason to be around the gym more, I wanted more responsibility so I wouldn’t slack on my training. I wasn’t must of a competitor, and I never really had any serious interest in fighting MMA, but I still wanted to find a reason to show up everyday outside of just loving the sport and staying in shape. I ask my friend and training partner Brent Littel for some advice. He told me to find some white belts who needed some extra work, and start helping them get better. Fast forward a few years, and here I am, a full time coach, running my own 10th Planet affiliate. Coach Ryan Bradford’s new blog, www.awesomeniujitus.com, is up and running!!! Ryan is one of the smartest, and most analytical coaches we have at 10th Planet Jiu Jitsu Van Nuys. He’s also one of my oldest and most loyal students. He’s followed me all over this Valley. His dedication is what every coach hopes to get from a student. What makes Coach Ryan different is he can break the science of jiu jitsu down to atoms. When it comes to teaching a curriculum, he “gets it.” What makes him so effective, is that he’s an educator by trade. Teaching is what he does best. Look for big things to come out of Coach Ryan in the next year. He and I are working on some amazing projects as we speak! Prepare to be dazzled! This blog is definitely for the jiu jitsu geek in all of you! You will learn something new, and be entertained at the same time. If you’re interested in coming down and learning from Coach Ryan, or another of our instructors at 10th Planet Van Nuys, visit our website. We’ve got some awesome free offers on there. 10th Planet Van Nuys, UFC 154 @ Orochon Ramen a Success!! Thanks to everybody that came out to our 10th Planet Van Nuys, Orochon Ramen, UFC 154 party. We had an amazing turn out. As always the owner, Shigeki Matsuda and his friendly, helpful staff, hosted the event. If you haven’t heard of this place, check out the episode on “Man vs. Food” they have some of the best Ramen on the planet. This ain’t your college Top Ramen, this is the real deal, straight from Kanagawa, Japan. The place was jam packed with all kinds of people. It’s nice to finally have a place we can all go to watch the fights. With the team expanding and growing bigger, we may have to eventually rent out a movie theatre to fit everybody in it! Until that day, we’ll just stay with Orochon! The show did not disappoint. The main event was a blood bath that saw Georges St. Pierre, dominate Carlos Condit. GSP did get rocked by a unorthdox high kick that landed almost out of nowhere. It momentarily looked like the interim champion, Condit could have bested the St. Pierre, but GSP recovered and continued to dominate the fight. In other fights, Martin Kampmann was steamrolled by an impressive, right hook, straight left combination by Johny Hendricks. The former NCAA stand out, Hendricks, has been brutalizing opponents with his power and wrestling for some time now. He may be in line for a title shot, if Anderson Silva doesn’t get the super fight he’s been wanting with Georges St. Pierre. I missed the actual match, but in BJJ news, Ivan Menjivar had an impressive armbar finish. So much so, he received submission of the night. I love that the UFC gives these bonuses, it makes for much more interesting matches! We look forward to the next event December 29th, when Dos Santos takes on Cain Velasquez. This is the highly anticipated match from the first Fox show. Hopefully we’ll get to see the fight go just a little longer this time. In the first fight, Dos Santos made quick work of Cain. If you’re in the Los Angeles and you want to come watch GSP and Carlos Condit throw down in the UFC octagon, come join the 10th Planet Van Nuys gang. This is one of the most anticipated fights of the last year, georges st. Pierre finally comes back to MMA after a lengthy knee injury. Carlos Condit has been on an absolute tear as of late beating all kinds of top fighters. If you haven’t been to one of the UFC party’s yet, you’re missing out! 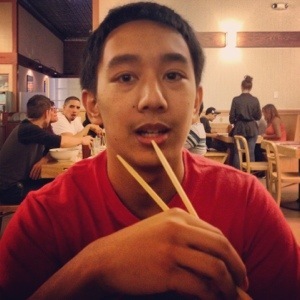 Orochon is my personal favorite ramen restaurant. Not to mention it’s owned by 10th Planet black belt, and MMA fighter, Shigeki Matsuda. Prelims should start at 5, and the main pay per view card will begin at 7. Ben Sample of HQ and Mike “Lobes” Frausto of 10th Planet Van Nuys both DEMOLISH their opponents both under 1 min. Not quite the way you would have expected it. First, Lobes defeated his opponent with vicious knees to the body. It’s likely he broke his opponent’s arm in the process. Ben crushed his adversary, David Lee a grappling stud and standout under Barrett Yoshida, with an Anderson Silva style beat down. Throwing lazer beams to every part of the body, it was something else to watch. He KO’d him in just 19 seconds. the 27 time mundial champ teaches you how to grow big and strong with his diet. 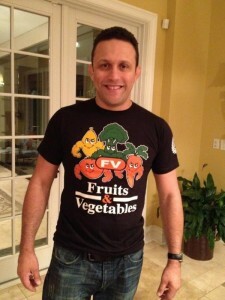 Fruits and vegitables and scientifically proven to get you more world championships, guaranteed! Episode 9 Part 1 of Budovideos weekly podcast of “This Week In BJJ”. Your hosts Budo Jake and Budo Dane, with Shawn Williams, bring you the latest news from the world of Brazilian Jiu-Jitsu. Our guests for this show Eddie Bravo and Shawn Williams.